Self-fertilization is a problem, as it leads to inbreeding. Recognition systems that prevent self-fertilization have evolved to ensure that a plant mates only with a genetically different plant and not with itself. The recognition systems underlying self-incompatibility are found all around us in nature, and can be found in at least 100 plant families and 40% of species. Until now, however, researchers have not known how the astonishing diversity in these systems evolves. A team of researchers at the Institute of Science and Technology Austria (IST Austria) has made steps towards deciphering how new mating types evolve in non-self recognition self-incompatibility systems, leading to the incredible genetic diversity seen in nature. The results are published in this month's edition of Genetics. 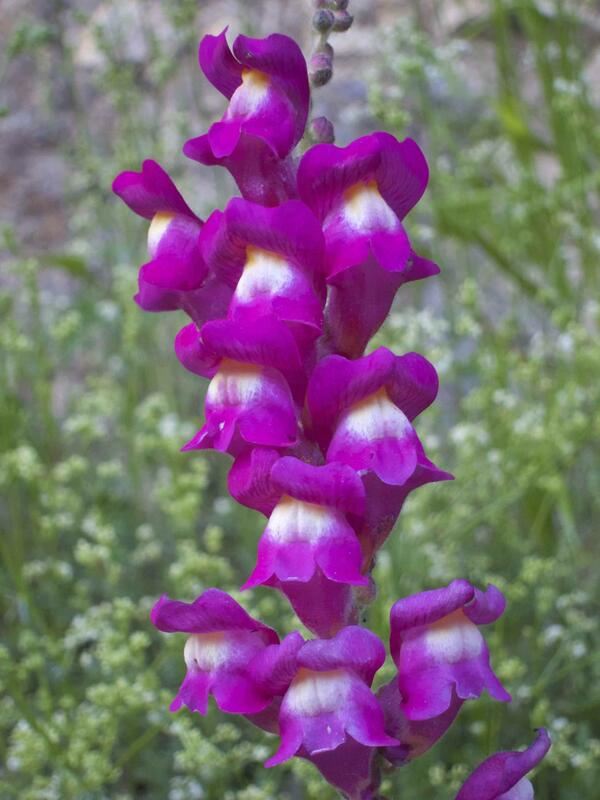 In plants such as snapdragons and Petunia, when the pollen lands on the stigma, it germinates and starts growing. The stigma, however, contains a toxin (an SRNase) that stops pollen growth. Pollen in turn has a team of genes (F-box genes) that produce antidotes to all toxins except for the toxin produced by the "self" stigma. Therefore, pollen can fertlize when it lands on stigma that does not belong to the same plant, but not when it lands on the plant's own stigma. It may seem like a harsh system, but plants can use this toxin-antidote system to ensure that they only mate with a genetically different plant. This is important as self-fertilization leads to inbreeding, which is detrimental for the offspring. In non-self recognition systems, the male (pollen) and female (stigma) genes work together as a team to determine recognition, so that a particular variation of the male- and female-genes forms a mating type. Non-self recognition systems are found all around us in nature and have an astonishing diversity of mating types, so the big question in their evolution is: how do you evolve a new mating type when doing so requires a mutation in both sides? For example, when there is a change in the female side (stigma), it produces a new toxin for which no other pollen has an antidote – so mating can't occur. Does this means that there needs to be a change in the male side (pollen) first, so that the antidote appears and then waits for a corresponding change in the stigma (female side)? But how does this co-evolution work when evolution is a random process? Is there a particular order of mutations that is more likely to create a new mating type? To decipher how such complex non-self recognition systems evolved, Melinda Pickup, a postdoc in the group of Nick Barton at IST Austria and experimental plant biologist, worked together with theoreticians (and previous postdocs in the Barton group) Katarina Bodova, now Assistant Professor at Comenius University in Bratislava, Tadeas Priklopil, now postdoc at the University of Lausanne, as well as David Field, now Assistant Professor at the University of Vienna. This project is an example of a situation where tackling a biological question requires the skills of scientists from very different research fields, in this case the fields of evolutionary genetics, game theory and applied mathematics. "This project shows how collaboration between scientists with very different backgrounds can combine biological insight with mathematical analysis, to shed some light on a fascinating evolutionary puzzle," explains Nick Barton. Through theoretical analysis and simulation, the researchers investigated how new mating types can evolve in a non-self recognition system. They found that there are different pathways by which new types can evolve. In some cases this happens through an intermediate stage of being able to self-fertilize; but in other cases it happens by staying self-incompatible. They also found that new mating types only evolved when the cost of self-fertilization (through inbreeding) was high. Being incomplete – i.e., having missing F-box genes that produce antidotes to female toxins – was found to be important for the evolution of new mating types: complete mating types (with a full set of F-Box genes) stayed around for the longest time, as they have the highest number of mating partners. New mating types evolved more readily when there was less mating types in the population. Also, the demographics in a population affect the evolution of non-self recognition systems: population size and mutation rates all influence how this system evolves. So although it seems like having a full team of F-box pollen genes (and therefore antidotes) is the best way for new mating types to evolve, this system is complex and can change via a number of different pathways. Interestingly, while the researchers found that new mating types could evolve, the diversity of genes in their theoretical simulations were fewer compared to what is seen in nature. For Melinda Pickup, this observation is intriguing: "We have provided some understanding of the system, but there are still many more questions and the mystery of the high diversity in nature still exists."